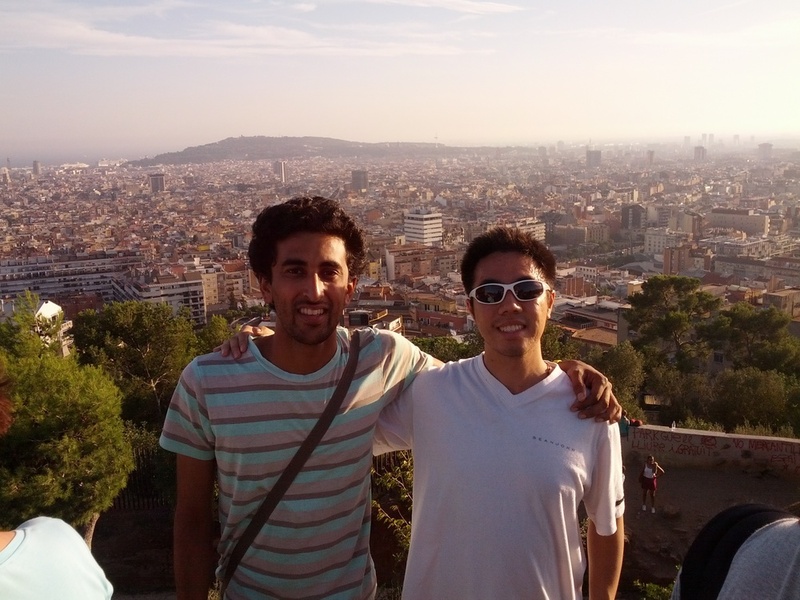 My exchange stories continue on after Palma De Mallorca to the grand city of Barcelona, Spain. Barcelona is one of the most beautiful with just about everything going for it from its beautiful weather, historic old town area, great vast views and beaches. One of the first things we did was to take a Sandemans tour which is a free tour service placed all around Europe and all you need to do is to tip the guide. An amazing thing for a student traveler like me. The tour guide we had was an energetic red head who reminded me of Emma Stone. She took us around the old part of town to a massive Gothic Cathedral that was surrounded by gypsies. The old town had very small streets that took me back hundreds of years and one of the strangest things was a random parade that appeared where everyone had a huge head. One of them even looked like Lord Farquad from Shrek. The tour took us to a park and that was close to the Arc de Triomf, which was made to be the main access gate for the 1888 Barcelona World Fair. At night we ate some good old American food with Sangria and wandered into La Ramble the rich promenade area and beach. Some strange things that happened there were people trying to sell beer and even saw a sand zamboni, which I have never seen before. I guess the economy was not doing so well. The second day we decided to check out the Gaudi park and took a huge detour to a tall hill, which had a great view of Barcelona. Gaudi was an old architect that modernized Barcelona with amazing and colourful buildings. At night we went to the magic fountain, which had an amazing view of Barcelona that really put into perspective on how big of a city Barcelona is. This was one of the most memorable nights for me as we really bonded and just let our inner child out. I don't think I stopped laughing the entire night especially when my American friend tried to imitate Rick Grimes from the Walking Dead. On the last day we went and visited La Sagrada Familia, which is one of the iconic buildings in Barcelona created by the one and only Gaudi. However, half of the building was under construction so it lessened the beauty but still an amazing piece of architecture. I didn't get a chance to go in but it would have been the best view of the city. We went back to the hostel, met a couple of girls, then went to a bar with the hostel manager who looked like Shaggy from Scooby Doo for his birthday, partied at a club and crashed. Woke up a couple hours later to head down to the southern part of Spain. Granada, Sevilla, Salamanca here we come. People: One thing about Barcelona is known for is their women. From what I observed they are all very stylish, not slutty but classy. Zara was created in Spain so it makes sense it looked like everyone shopped there. Look out for those Cerveza salesmen at night they are kind of annoying but we had a good laugh. Also, the Spain culture is very affectionate, literally everywhere you turn you would see a couple making out especially at night. Food/Drink: Estrella Damm the beer of Barcelona is a must have when going to Spain, it's smooth and has a distinct bitter taste that I have never had before. I had a pint while watching the Barcelona Football Club and really enjoyed the atmosphere. They love their football over there. Also, girls should try their Sangria (fruity wine), I am personally not a fan as it's more of a girly drink.